I admit it. In recent years, I began to question whether nondiscrimination laws were still needed. I thought that maybe the negative public relations consequences that those who discriminate suffer these days are worse than any penalties that government can impose. Maybe we were at a point when discrimination was so socially unacceptable that it was virtually nonexistent. Unfortunately, the reality is that that’s not the case. The rise of President Trump’s #MAGA movement, which fosters division and a culture of confrontation, and defiantly rejects what followers call “political correctness,” has emboldened the forces of intolerance and made the need to pass LGBTQ inclusive nondiscrimination legislation at the federal, state, and local levels just as important as it ever was. It’s helped to shine a light on intolerance that was still lurking in the shadows. A wide range of specific indicators, from white nationalists marching in Charlottesville to a surge of efforts to pass anti-trans “bathroom bills” in state legislatures around the country to ugly clashes on college campuses and mor, have all shown us that advocating for legal protections against discrimination should still be a top priority. I’ve written before here about the growing movement against the Trump culture of confrontation and the shift toward a new culture of unity and civility. Enacting LGBTQ-inclusive nondiscrimination laws is an important piece of bringing about that national unity and civility, and the 2018 midterm elections present a critical opportunity to advance that goal at all levels of government. As a former Republican activist, I was active in helping candidates in the 2010 Tea Party midterms. That was a year when political newcomers on the right of the political spectrum came out like never before to run for office and engage in the process. This year, as candidate filing deadlines begin to pass, we are seeing a similar phenomenon with political neophytes on the left and in the center filing for office at record rates. One thing I learned in 2010 is that you can’t assume that all candidates and their staffs are fully informed on all of the issues. Most of these first-time candidates haven’t been lifelong activists, and they need help learning about the intricacies of the public policy proposals that they are considering. They’ve probably heard all of the quick sound bites in the media, and they may think they know their positions, but they might not realize the full impact and consequences of every policy position. It’s important for LGBTQ Americans to engage with them early so they fully understand how policies impact us. 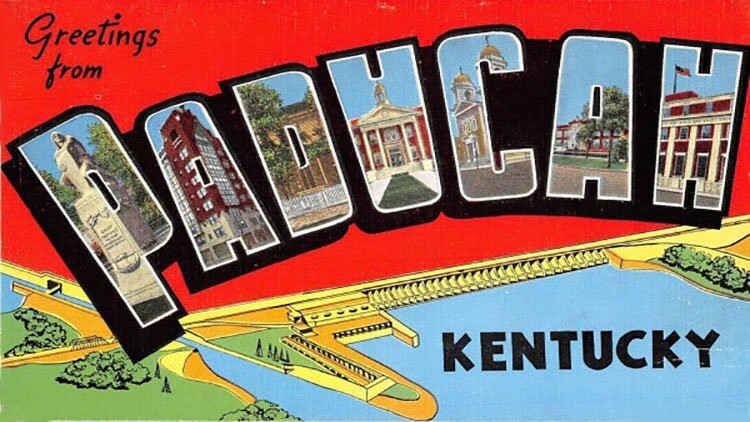 I was heartened last month when the city where I live, Paducah, Ky., amended its human rights ordinance to include protections against discrimination based on sexual orientation and gender identity. It was a big deal for our small town in a conservative state. As I sat in the audience for that City Commission meeting, I saw that the opponents of the nondiscrimination ordinance were well organized and armed with all kinds of false and misleading talking-points about transgender people, wedding cakes, and more. Fortunately, their misinformation campaign and scare tactics did not lead to the ordinance’s failure, but their efforts did sway one of the commissioners to their side. That’s why it’s so important for LGBTQ Americans to engage with candidates for local, state, and federal offices early and often this year. If we don’t educate candidates with all of the facts, then the other side will have the opportunity to spread their misinformation unchallenged. Now is the time for all of us to act and reach out to the political candidates in our communities, so that they hear our points of view before the other side persuades them to support a policy proposal that could have detrimental consequences. It won’t be long before many of these new candidates will be elected to positions of power, when they’ll have the ability to enshrine important nondiscrimination policies into law. Originally published at www.advocate.com on February 20, 2018.